My mother’s grandfather was George Alex Lineberry (making him my great-grandfather). He was the 6th child/3rd son of Jacob P. and Piety Thomas Smith Lineberry, born February 3, 1844 in Grayson County, Virginia. Although my mother and her brothers moved to Virginia in February of 1922, she didn’t get to meet her grandfather because he had died six years before she arrived. 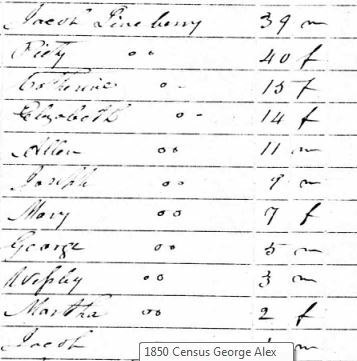 The 1850 census, though not a very clear image, does reveal something about families in that time period. His parents married in November 1833 and had their first child in February 1835 and over the next 15 years had another child every year or two. To clarify, his siblings were Catherine, Elizabeth, Allen, Joseph, Mary, Wesley, Martha, and Jacob. Only one more child was added in the 1860 census – Piety, born in 1856. A couple of years after the war George married Rhoda Harmon on February 26, 1867 in Carroll County, Virginia. The 1870 census lists George and Rhoda and their first child, Leander Francis, who was eight months old at the time of that June 1, 1860 record. George was listed as a farmer on property valued at $120, although he likely also participated in the family’s iron forge business. By the 1880 census, George and Rhoda had added several more children, including my grandfather, Jacob, and their daughter, Piety Catherine, who provided a home for my mother from 1922 until 1929, following the deaths of both my mother’s parents. George was still listed as a farmer. 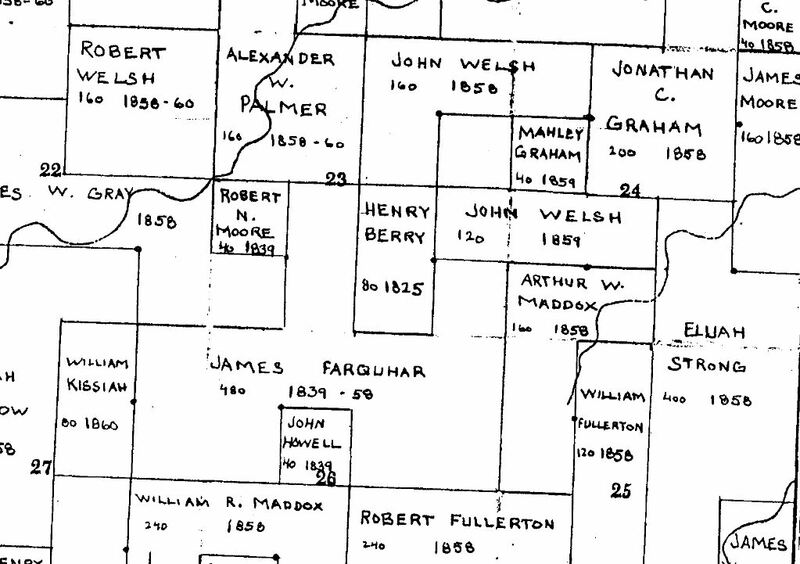 George and Rhoda were enumerated as living next to George’s parents in the 1880 census. His mother died in 1885 and his father in 1887. According to letters written by my grandfather to his brother, Leander, from 1894 through the beginning of 1915, the George Lineberry household was not one of peace and tranquility. In those letters, we learn of the death of George’s wife, Rhoda, and of his subsequent marriage to the former Amanda Thompson. George was 52 and Amanda was 22. There is some indication in Jacob’s letters that Amanda may have been George’s son Alex’s girlfriend, which, along with George’s abusive words and behavior, caused a good bit of ongoing animosity between George and Alex. George and Amanda began their own family and the 1900 census enumeration shows them: Lillie and Alexander are Rhoda’s children. Although Amanda stated she was the mother of three children, all living, and three children are listed (Calla B., Robert and Burton), Calla was born in 1894 while Rhoda was still alive and three years before her marriage to George. The 1910 census doesn’t shed much light on the question of Calla: There are five children listed: Robert E., Burton L., Rudy R., Benjamin G. and Roby P. Calla is not listed although she should only have been about 15. Amanda is listed as the mother of six children of which only five are still living. However, a marriage record for Callie stating she is the daughter of George Lineberry and Amanda Thompson was recorded in Carroll County in 1911 and she did not die until 1989. Since George and Rhoda already had a daughter named Callie born in 1881, it doesn’t seem likely they would name another daughter Calla/Callie born to them in 1894 while the original Callie was still living. The question then is, who were the parents of Calla Bell Lineberry and which child of George and Amanda died between 1900 and 1910? The 1920 census – taken four years after George’s death – lists one more child: Luria. That makes a grand total of 17 or 18 children for George. A family reunion photo shows a small portion of what that kind of family looked like. As best as we can reconstruct, neither Amanda nor any of her children are in this photo. George is on the back row just to the right of center. George died of pneumonia on January 18, 1916. He is buried at the Alex Lineberry Cemetery on the family farmlands just above Crooked Creek with headstones of both his wives nearby. Jacob P. Lineberry was my great-great-grandfather on my mother’s side. Jacob was actually the fifth known generation of sons named Jacob, although the original last name was Leyenberger. My great-grandfather’s name was George, but my grandfather also bore the name of Jacob Lineberry. 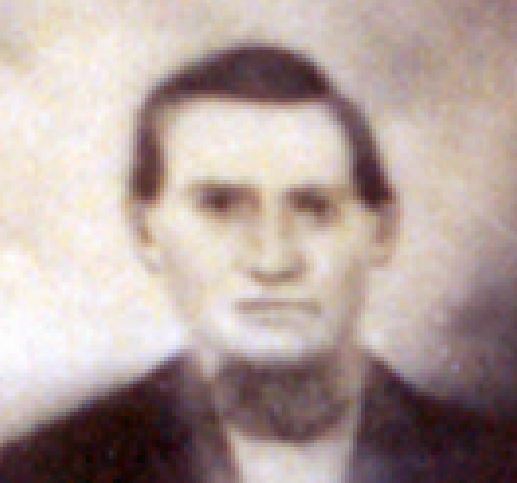 He was born in Grayson County, Virginia in about 1806 to Jacob Lineberry and Mary Elizabeth Fanning and married Piety Thomas Smith in Grayson County on November 4, 1833. There is a photocopy of their marriage bond attached to Jacob’s profile on FindAGrave. The 1860 census adds one more child: Piety who was born in 1856. 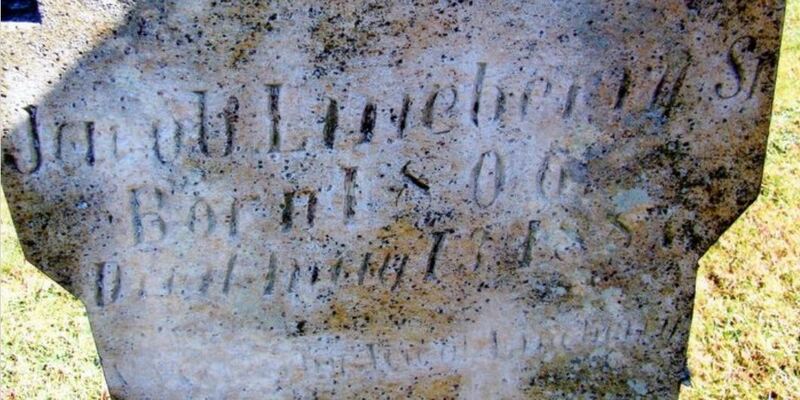 They also had a son named Isiah who was born about 1850 and died in infancy. Jacob is still listed as a farmer with property valued at $500 and personal property valued at $440. The 1870 census lists Jacob not as a farmer, but as a hammerer of iron. 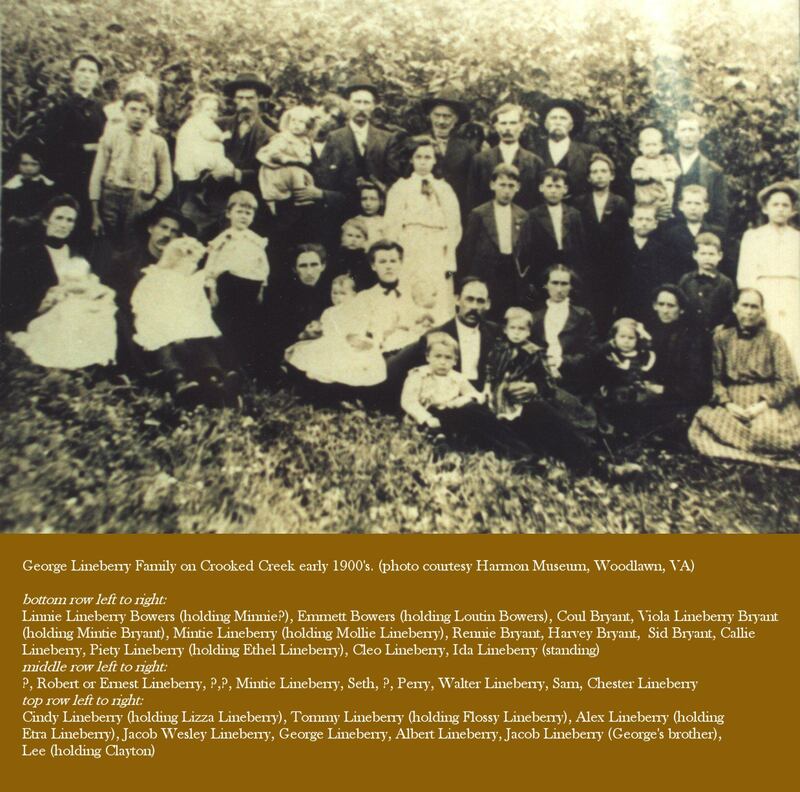 The Lineberry family had been operating an iron forge for many years on Crooked Creek and this is the only census record that indicates that family occupation. My daughter Kay has written about the Old Iron Forge, including a transcription of a tape of my Uncle Leonard talking about the forge. 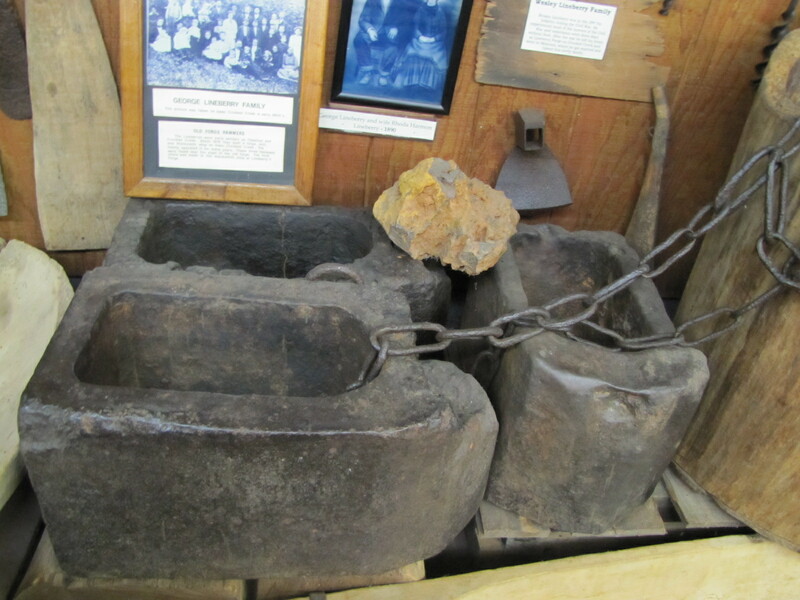 When we were in Galax this past summer we took photographs of the hammers that were found and placed in the Harmon Museum. By the time of the 1880 census, all Jacob and Piety’s children were married and raising their own families, all but Wesley and Elizabeth still living on the mountains they’d spent their lives on and Jacob was once again listed as a farmer. Jacob was widowed in October 1885 and he died May 13, 1887. Jacob and Piety are buried at the Hebron Cemetery in Carroll County.